Hey guys! I'm Sheena, mom to twin girls and their lucky little brother. I blog over at Bean In Love. 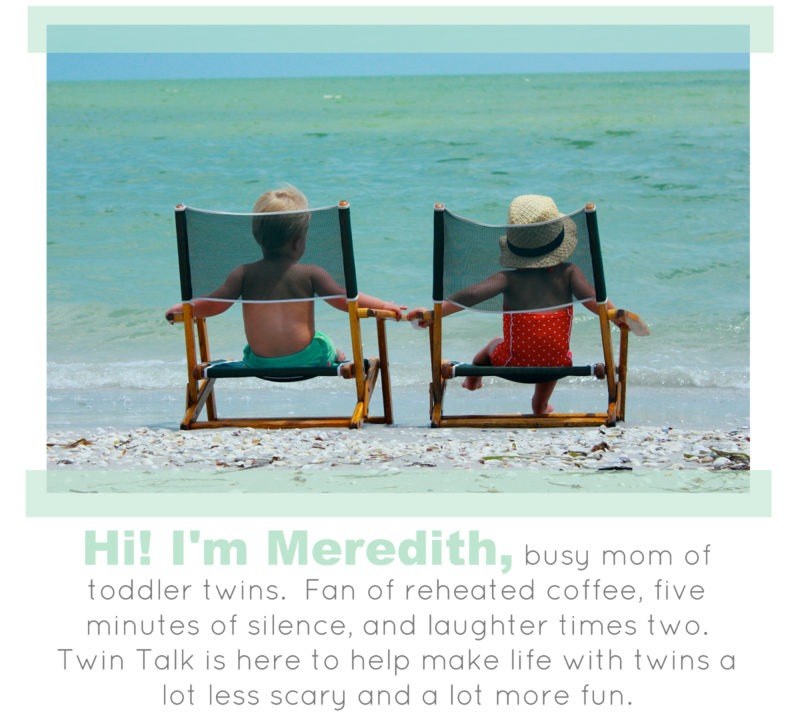 Meredith sweetly invited me over to talk about the very, very fun part of parenting - discipline! 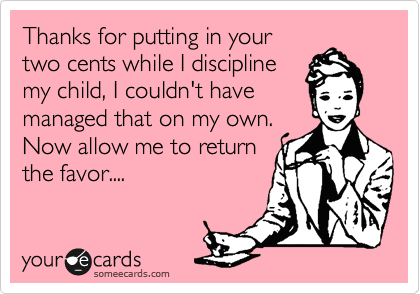 There's nothing worse than someone telling you how to discipline your child, am I right or am I right? We try to keep our reprimands as simple as possible. If Seraphia hits her sister, we say "No hit!" Our twins are using full sentences themselves, but that doesn't necessarily mean that they're understanding every full sentence spoken from us to them yet. They may and they may not pick up what we're laying down if, instead, we say "Don't hit your sister because it hurts her. Do you understand me?" We might've lost her on the word 'because' and so therefore, all she may have heard was "Don't lxkcjvlksdjf sister alsdkjfalsdfj me!" from an apparently upset parent. We keep it simple and use words we know they can understand. If we see one of the girls do something wrong, we reprimand and make sure they stop doing it. Telling them "no" a few times and then giving up and letting the behavior continue is only going to cause confusion in the girl - "Do they not want me to do this or can I do it???" Also, we try to be consistent. If a certain behavior is wrong, we make sure it's always wrong and not just wrong when it's inconvenient. If Seraphia hits Cecilia (her twin sister), even if Cecilia is laughing about it, it's still wrong. 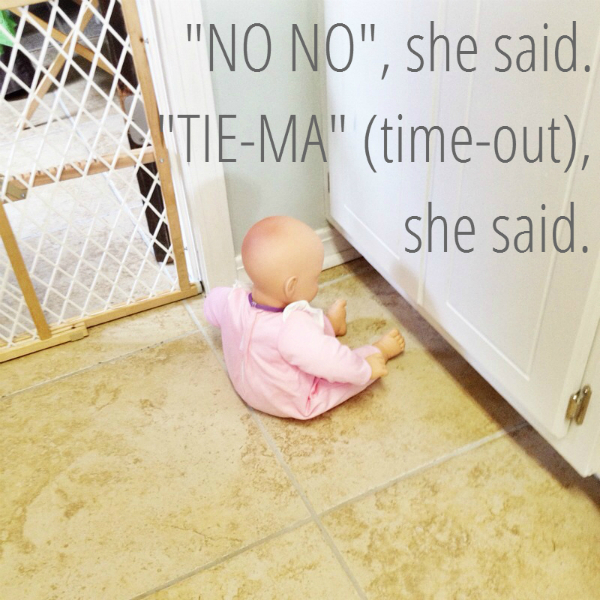 She gets a "no no" + a little jog to time-out. We try not to reprimand without a giving a reason. I said above that we try to keep our words simple and that still holds true here, even though it's a little tougher when an explanation is in line. After Seraphia serves her time-out sentence for hitting her sister, we try to help her understand that "that's owie," or "no hit...Cecilia get owie." It makes sense, right? When someone tells us to stop doing something, the next logical thought is "why?" Going along with the simple explanation, we make sure that after we explain, the girl has heard us. We make sure they're looking at us face-to-face and we say "Ok?" and wait for an "Ok." from them. Even if she didn't really get what we were saying (because, like I said, we're still learning), at least she heard us. The perfect time to teach your child how to act is when they're about to do or doing something wrong. For example, if I see the girls getting a little rough, I immediately try to remind them to "be gentle," "careful," and/or "give kisses and hugs." Sometimes it'll deter them. Another example I can think of are taking off shoes. My girls love to take their shoes off themselves but sometimes they have a hard time getting their winter boots off so automatically, they try, they get frustrated, and they start whining/screaming. Before it escalates, I sit down next to the boot victim and tell her "Cecilia, say 'Mommy help'" and every time it immediately calms her down and she says "Mommy help" and the crisis is laid to rest. This might be common sense but just in case... We make the girls sit in a designated time-out corner when they've done something wrong. The amount of time they have to sit in the corner depends on what they've done wrong. 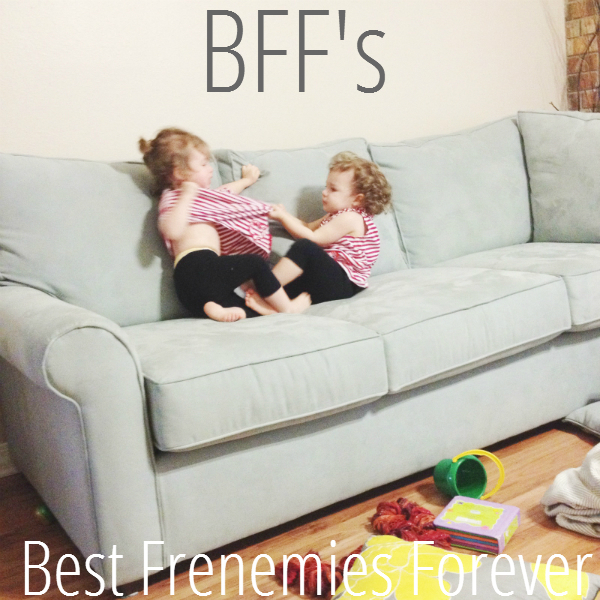 Hitting a sibling results in more time than throwing a cup off the high chair. Distraction works wonders in this house. If someone starts tantruming because her BFF Dora ain't on the tube, I try to curb the anger by very, very quickly bringing out the crayons and Hello Kitty coloring books. This also works in the car while an I-want-the-heck-outta-this-car-seat-prison episode is about to blow. Pointing out the pretty trees, that cute puppy, and that yellow school bus and oohing-and-ahhing over it all usually can calm the storm. I watched an episode of Supernanny once in college and I learned this in that episode and filed it away in my "future-kids" file. After time-out, we literally get on our haunches so that we're eye-to-eye with our little criminal, and we do all the explaining that way. Standing up so that they have to look up at you can come off as belitting, cause a shut-down, and a dead end. It can also instill an unhealthy sense of fear in getting punished. Think about your seven-foot-tall boss towering over you, scowling and telling you how you dropped the ball in not meeting that very important deadline...yeah, scary. One of my friends employs this and I love it. 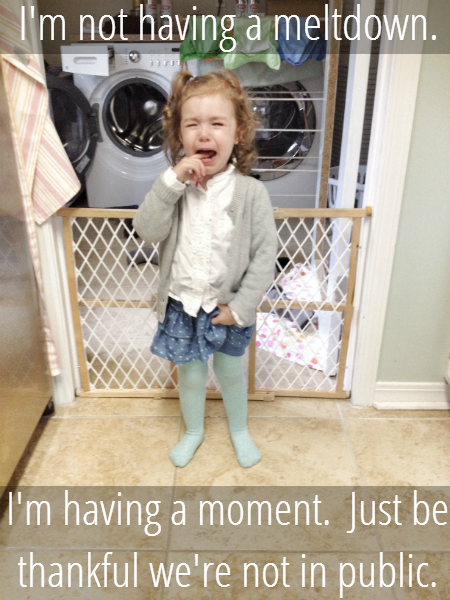 To end particularly bad tantrums (and even little ones! ), just start tickling. Isn't there a saying about laughter being the best medicine anyway? :) The hope is that the tickles will bring laughter and the laughter will wipe away the tantrum and the reason for putting up a fight in the first place will be forgotten. 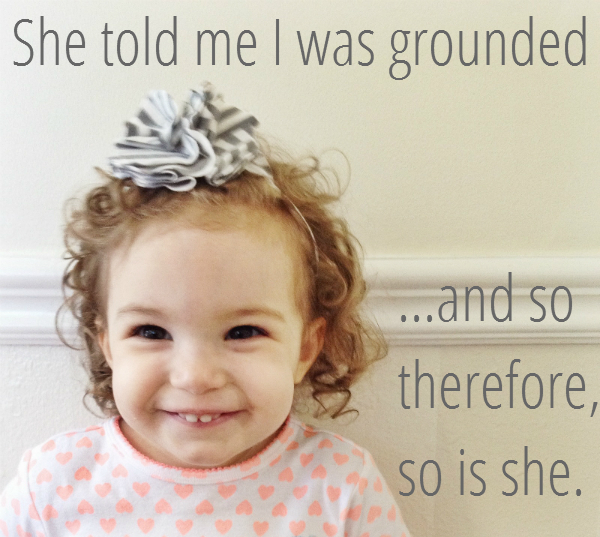 Toddlers, like their doting parents, are always learning. If the girls didn't react the way we would have liked them to at first, a second chance will usually help them develop a better association between what they did and what they should've done. In saying that, I don't mean we don't punish right after they do something wrong. We do. But we allow them to make the right decision if they so choose right after. For example, we usually give a time-out sentence for throwing a toy. We take the toy away, which usually causes a small tantrum, put the girl in time-out, and after completing her sentence and us explaining and loving on her, we give the toy back as a second chance gesture. If she throws it again, it's gone for good. If she doesn't throw it, chances are she learned the lesson and we all go on our merry way...until next time. It's always good to give a child a chance to redeem him/herself and to learn the right way. There's nothing like a big, deep breath .2 seconds after or during a tantrum/fight/slap/destruction that helps me stay calm and focused. I can think a thousand thoughts and make a simple plan of disciplinary action in those few seconds of a breath that is usually a much better plan than one made in the thick of the fight. This is true especially with twins. They might not realize it when they're toddlers, but harping on one girl and showing her how her counterpart is being an angel, as she should be doing, may only cause an unhealthy dislike. We just try to focus on teaching the right way to the child doing the wrong thing without bringing the other child into the mix. This might be a tad controversial. I know there are a lot of people who do put their toddlers in their cribs for a time-out sesh and I'm not judging you at all. I totally get why you might use it. It's easy. They're stuck there (usually) and they're stuck good until you say so. Corners and walls have easy escape routes if you don't pay attention (there is always duct tape though...kidding, just kidding.) If it works, it works. But I can imagine that, in the few minutes that it also serves as their prison, a toddler might begin to associate it with punishment. Not great for the place we want only peace, calm, and deep sleep to reside. So, with all that, what are some tips and tricks you've found to cure toddlerdom woes? 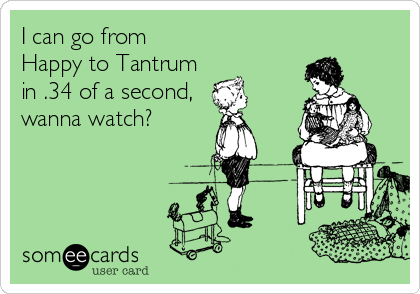 I know there are so many resources out there and us parents are always up for tantrum cures in order to keep life in the fast lane as happy as possible. Please share what you know! We're all in this together! Discipline is tough and the not-fun part of parenting (rivaling diaper changing) but remember that while your finger seems to be constantly wagging, you're forming and fashioning these little people into mature human beings who care about other people and you're doing a great job! 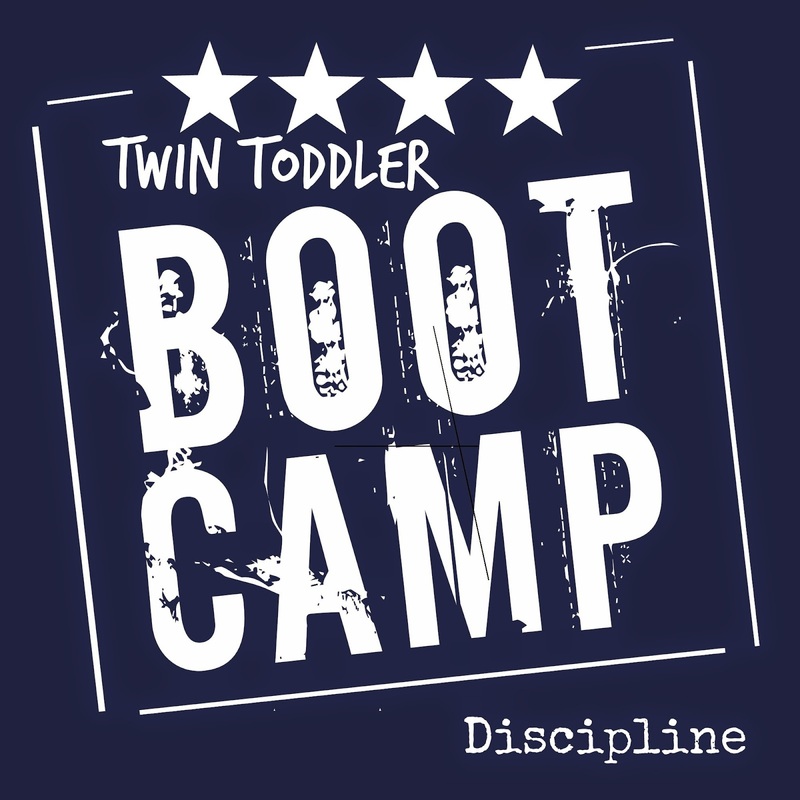 One thing my pediatrician told me (Also a twin parent) is that for twins, sometimes the best discipline is completely ignoring one twin and paying attention to the other. Now, this cannot always be the case, if the kid is behaving bad enough, they need timeout. But if one kid is whining or hitting, simply pick up the twin that is behaving, and walk away. It is not comparing the twins to each other, but showing them that if behave like you are supposed to, you will get attention. And since most of the things that toddlers to is for attention, this is a valuable lesson for them.